I love the mood, depth, and texture that synths can bring to a song. Before recording my first EP, I wanted to get a synthesizer that had true vintage analog sounds. But I also wanted to limitlessly shape those sounds with the flexibility of a modern virtual instrument (VSTi). I could hear a blend between the old and the new, breathing life into the songs I wrote. This article is about how I got that sound out of my head and onto tape, with a behind-the-scenes look at isolated tracks of my recording As Far As the Eye Can See. Watch a behind-the-scenes look at vintage-modern synths in Piuma's recording As Far As the Eye Can See, including Oberheim OB-8 and Prophet V isolated synth tracks. Listen to how the energy and spacial dimension builds as the synths are un-muted and brought back into the recording. If you haven't delved into the world of vintage/analog synths yet, this is fair warning that it may be hard to go back to standard digital waveforms. There is something about the hardware circuitry of each analog synth that gives them unique timbres; there tends to be a rich, lush character with lots of harmonics, unique to each instrument. A lot of retro synths have a non-linearity that adds randomness and variety to the sound. 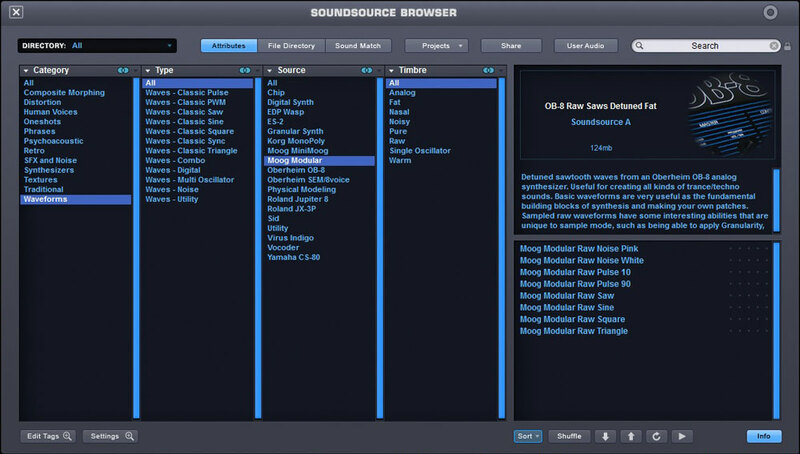 Once shaped, the soundscape adds deeper color and depth to the recording. Listen below. 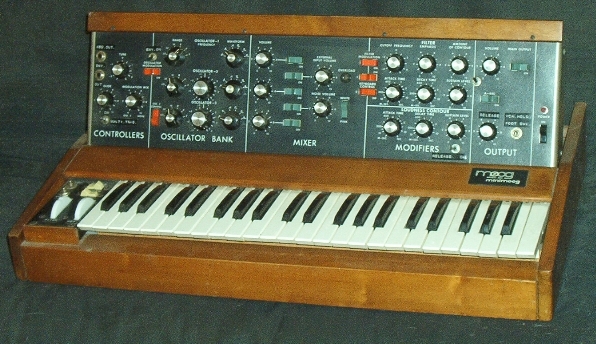 The Minimoog is a classic vintage analog synth, with its rich, phat oscillator waveforms. Here are isolated tracks from, As Far As the Eye Can See. I used a combination between a lush Oberheim 8 (OB-8), Prophet saw pad, and arpeggiated Prophet harmonics combined with a driven sine wave. Here is a playlist, breaking down the synth tracks of As Far As the Eye Can See. I had to resist pushing the synths up in the mix, and found a nice spot where it is just audible enough without taking away from the lyrics and arrangement. The first layer, on the low end, is an Oberheim (OB-8). It gives a warm buttery phatness to the low mids—adding power. The next layer is a driven Prophet V pad that adds depth and texture. The third layer is an arpeggiation of Prophet V harmonic overtones and saturated sine waves, which adds width and movement to the recording. When listening to the "Instrumental without Synths" compared to the "Instrumental with Synths" you can hear the color, fullness, added depth of field, and movement the synth tracks bring to the recording. 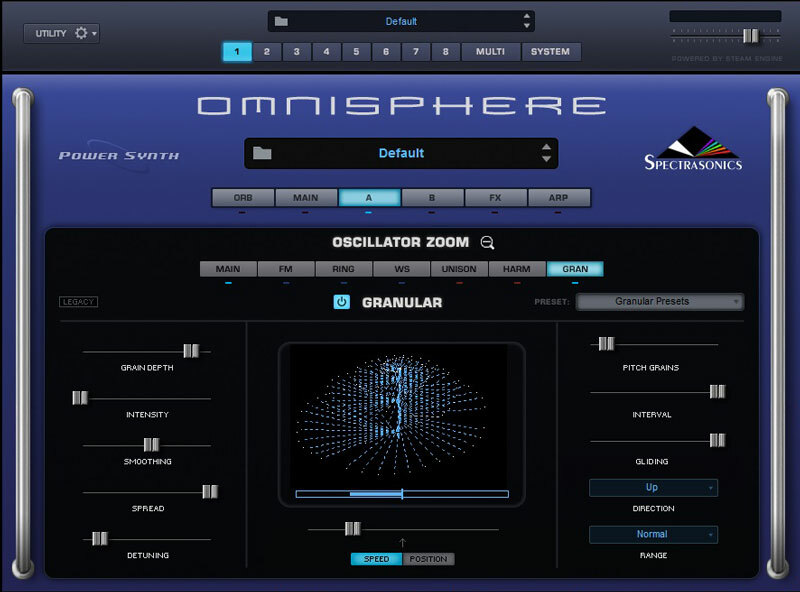 I was drawn to Spectrasonic's Omnisphere years ago because of its versatility. But it wasn't until I was able to dive in at NAMM, that I found you can get authentic analog sounds out of this virtual synth. Under its hood, Omnisphere has a true legacy of sampled analog vintage hardware. Since using it pretty much exclusively on my EP, I've found that I could go as deep as the ocean, being able to shape sounds with endless possibility. Before I start with a waveform/oscillator, I try hear the sound I want in my head, in three dimensional space. Sometimes you are in the heat of the moment and want to quickly find a preset patch as a starting point and focus on playing. But sometimes you have a sound in your head and you want to build it from scratch. Either way, in Omnisphere, you can tap into its Soundsource Waveforms and access authentic samples of Moog, Prophet, Oberheim, MonoPoly, CS-80, etc. sounds; these are true HiFi analog samples. Omnisphere's Soundsource Waveforms, including samples of classic Moog Modular, MiniMoog, Oberheim, Prophet, MonoPoly, CS-80, etc. oscillators. One trick in Omnisphere I found is to blend the classic sampled waveforms with its built-in synth. Omnisphere's synth waveforms are extremely flexible, but it also has an Analog control. The Analog control allows inconsistency to be introduced into the pitch and phase of the oscillator, which makes Omnisphere sound and behave more like a vintage analog instrument. I mixed in a sine wave with Prophet V harmonic overtones, on the arpeggiated track. I like using the built-in Analog control to add a non-linearity to the pitch and phase of the synth waveform. After finding the right oscillator/waveform, I move to finding the right filter, possibly modulate that filter, and keep moving from there. What makes Omnisphere so versatile, is that almost anything can be modulated or sent to a custom envelope that you can visualize and adjust. One unique trick is to modulate the Variant control (see the image above in the filter section). The Variant control in Omnisphere’s filter is not typically found on most synthesizers. Since Omnisphere’s filter is stereo, Variant responds in most filter types by moving the cutoff frequency in one direction on one side of the stereo field, while moving it in the opposite direction in the other side of the stereo field. For example, the filter could be opening on the left channel while closing on the right channel. This creates unique panning effects that are more dramatic than standard audio panning—particularly when Variant is modulated. You can hear this on the Oberheim (OB-8) isolated track from As Far As the Eye Can See. Granular Synthesis is one of my favorite features. To me, granular synthesis is thinking of a waveform like a tempered sheet of glass—and then breaking it where all the pieces stay in the sheet. The detail depends on how intensely the sheet is broken. You can take a sound, break it up, add width and dimension, and then even transpose a certain amount of grains in pitch—adding subtle movement and interest when restrained. Omnisphere's Granular Synthesis - Adding texture, width, and movement. 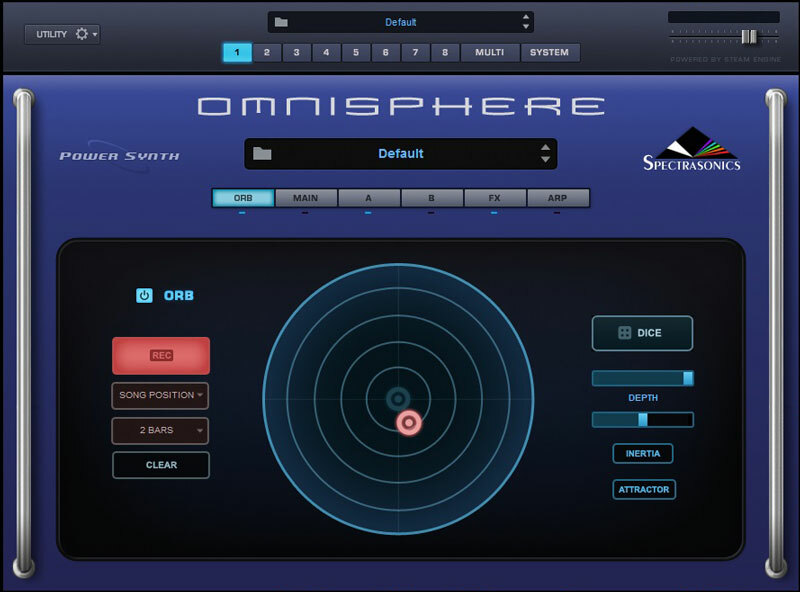 The Orb is Omnisphere's not-so-secret weapon. I am not sure exactly what is going on under the hood, but by hitting the dice button it alters an array of different controls that are separated out into each XY quadrant. Essentially, just move the control further into a section and you can start getting anything from beautiful to insane sounds. What I love to do, is record a movement over 2-4 bars, and then pull back the depth; this adds subtle variation to the sound that could take hours to get manually. 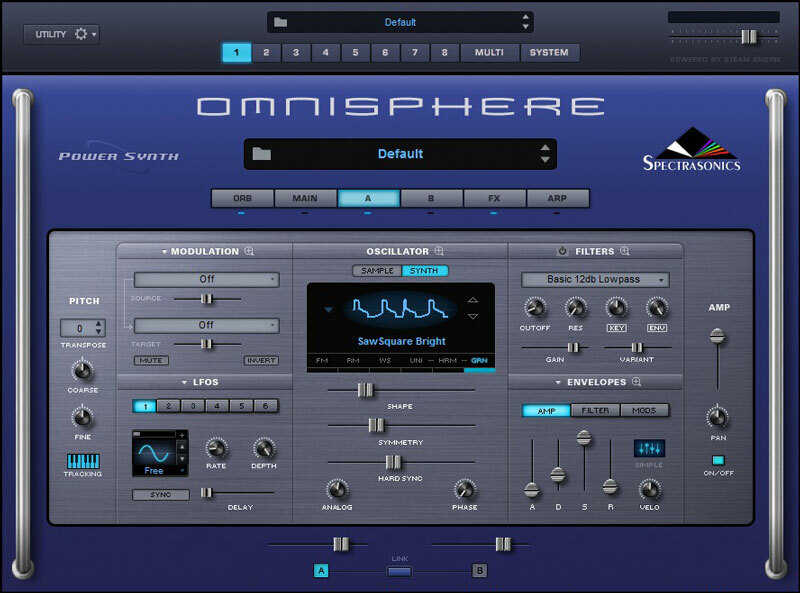 However, the Orb can also be setup manually and used as a new modulation source in Omnisphere’s Mod Matrix. The Orb adds complex alterations to the sound in a super simple interface. One of my music production philosophies is that there needs to be movement within a recording, for someone to be emotionally moved. Of course, it all starts with a good song. Now the sky is the limit in terms of recording possibilities with all the tools that are available. Over many years of music-making, companies have created incredible synths, some of which have withstood the test of time. Those vintage instruments have a huge amount of creative possibilities. Now with modern virtual instruments, like Omnisphere, those possibilities have been taken to the next level—by combining the best of the old with the best of the new. Through shaping vintage sounds with modern synthesis, we are reaching new sonic possibilities. These vintage-modern sounds can make new recordings shine—connecting with our listeners and fans—by bringing our artistic expression to life. Thanks for reading! 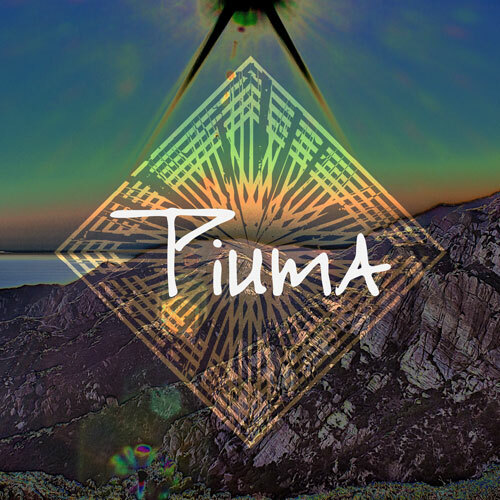 The instrumental album of my self-titled EP, Piuma (py-ooma), is being released this September 14th, but you can get an advanced copy with the Limited Edition Vinyl at the Piuma Shop.